Childhood and Society, by Eric Erikson. This instructive book started off pretty well. Part one, which dealt with psychoanalysis in practice, offered fascinating case studies and anecdotes about children patients and their individual problems. These problems were successfully diagnosed and often remedied after causes were identified. So far so good. Erikson certainly provided compelling evidence to support some of the views espoused by Freud and his followers regarding this area. Part two exposed many of the psychological factors influencing cultural worldviews. Such Indian tribes as the Sioux of South Dakota and the Yurok along the Klamath River were examined. Opinion was often enlightening. Part three, however, offered more speculation than it did science, but still outlined and expounded on Erikson's famous eight psychosocial stages (i.e. basic trust vs. basic mistrust, etc. ), and Erikson took this opportunity to explain the development of the individual in a comprehensive way. Part four, Reflections on the American Identity, was an extreme digression in both content and approach. This part was pure speculation. It seems Erikson simply bit off more than he could chew. In this same section, he makes an ambitious but futile attempt to psychoanalyze Hitler based on excerpts from Mein Kampf. At one point, Erikson went so far as to blame Nietzsche's writings for helping Hitler create his uniformed supermen. Overall, I enjoyed Erikson's speculative work, but I'm not entirely convinced the science (or art) of psychology is always the best response to an individual’s or a group’s ideology. The Screwtape Letters, by C.S. Lewis. This book is a thought provoking satire dealing with the chain of command in Hell and how demons operate to defeat the human race. Of course I realize that’s abstract, religious, and philosophical. Keep in mind, it’s told both visually and entertainingly. Wicked memos pass from one bureaucracy to another instructing trainees on what methods best lead mankind astray and how to either claim a soul for the sport of Hell or, failing in their instruction, imagining themselves fodder for Hell’s next dinner party. All told with delicious subtlety and wit. Lewis was not only one of the greatest thinkers of the 20th century, he was a persuasive writer. 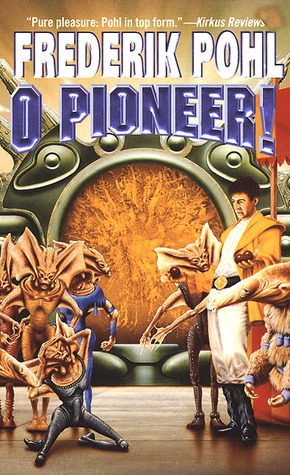 O Pioneer! by Frederick Pohl. Slouched between the science fiction shelves at the public library I sampled dust jacket praises from The Washington Post and The New York Times Book Review until I thought I’d found a winner. Pohl is the recipient of five Hugo Awards, two Nebula Awards, and the John W. Campbell Memorial Award for best SN (science fiction) novel. (Selecting books based on these publications goes against my principles, but I was without a literary compass). I vow to never do this again. My brief review: a notch above daytime TV, which is code for entertaining crap. 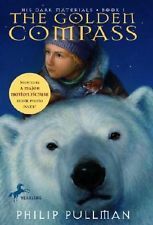 The Golden Compass, Philip Pullman. Some guy claiming to love both Tolkien’s Rings Trilogy and Lewis’ Narnia Chronicles posted a review online praising a trilogy called His Dark Materials (a phrase borrowed from Milton’s Paradise Lost). Gullible, I sought out book one of that trilogy from the local library. Like the Narnia Chronicles, it’s an exceptionally well-written children’s story, but the similarity ends there. I’ll admit it zooms along like a Sunday at Daytona. But it’s a silly story, trite throughout, and full of shallow characters. No accounting for taste, I suppose, but how someone who loves Tolkien and Lewis can recommend Pullman, or worse, claim he deserves to share a shelf with such greats, stupefies me. Like adding ice to Merlot, drenching sirloin in Ketchup, or wearing sandals with slacks, to confuse transient tripe with truly great work only spoils the park with trailers. I never saw the movie, but I can’t imagine it being worth watching. It’s the writing that’s superb and neither the plot nor the forgettable characters make an impression. 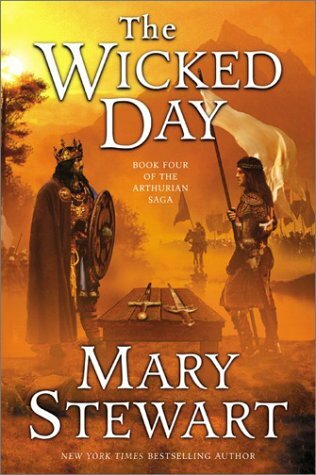 The Wicked Day, by Mary Stewart. When this story begins, Merlin is already dead. A friend warned me this book pales compared to her Merlin Trilogy, and I agree. Still, I thoroughly enjoyed it, probably because I’m a sucker for Arthurian tales. It also helps that Stewart’s a true wordsmith and uses mesmerizing detail to shape a scene or a mood. At the back of her book she mentions the two sources she drew from: Geoffrey of Monmouth’s History of the Kings of Britain and Sir Thomas Malory’s Le Morte D’Arthor. I know of Malory’s version via a synopsis in Time-Life’s legend series, and I agree that Malory’s Mordred wasn’t consistent. Stewart takes a more sensible approach. Since Mordred is the protagonist, we need to empathize with him, so Stewart depicts him as a victim of his mother Morgause’s evil plotting, her pawn, rather than as an evil seed driven to usurp his father out of spite. This makes for a sympathetic protagonist and a more engaging read.